We Have a Closed Cattery. 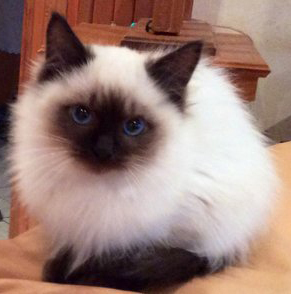 We Breed the Unique and Beautiful Ragdoll Cat. Kittens are Vaccinated, Microchipped, De sexed, Wormed, full Medical Checks. Parents Sire 100 Percent traditional. Our Queens are traditional and all have traceable pedigrees. We do not sell to Petshops or Breeders. WE LOOK FOR FOREVER HOMES ; RAGDOLL CATS ARE STRICTLY AN INDOOR CAT, NO EXCEPTIONS.